Asia’s most trusted education brand is now coming to the hub of education ‘Pune’. 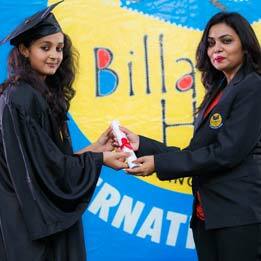 Billabong High International school (BHIS) launches Pune’s first company owned company operated school in Hadapsar. We will start admissions for next academic year (2019 – 2020) in September 2018. This is our next gen school where we have redefined learning spaces in the form of learning commons (we believe that each child learns differently, Hence we have created a common classroom where children can either study by themselves or in groups using different modes of information). The school has an innovation room, a unique range of Sports and Performing Arts activities to choose from and is technologically advanced school. 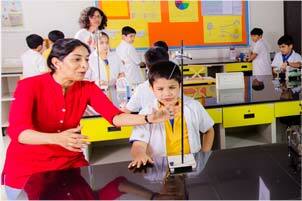 BHIS Pune is a proposed CBSE and IGCSE school currently starting from preschool to Grade 5. BHIS is setup in a 2 acre lush green plot. The school is centrally located in a residential area and a prominent mall. At BHIS Pune, students will practically learn to apply what they understand through various modes in their student program. We will be taking utmost care of our children, hence BHIS, Pune is being built by the best Design Consultants to make sure all safety and security norms are adhered to. 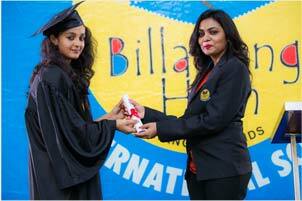 A very warm welcome to Billabong High International School, Pune. The current generation thinks differently and has dreams and ambitions that are not traditional in nature. They are set to challenge the perennially existing paradigms of education and hence as facilitators of knowledge it is our responsibility and duty to get them future ready for the options they choose in life. According to a recent study 65% of today’s grade school children will end up at a job that hasn’t been invented yet .The world is at the beginning of it’s technological revolution and major breakthroughs will be observed in the fields of Nano Science, STEM,3D printing and Data . Keeping in tandem with it BHIS is committed to providing students with an educational experience that will develop every aspect of their being to their fullest potential. 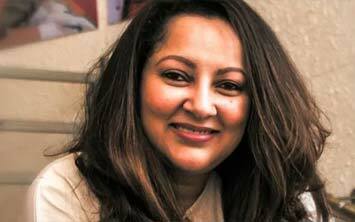 BHIS is an actualisation of Ms. Lina Ashar’s vision of joyful, meaningful and effective learning. We believe that our mission solely lies in addressing the calling of individuals through a programme of strong structured curriculum based on contemporary educational research, neuroscience and energy science, varied sports and performing arts and intentional spiritual nurturing. We value individualism and try to inculcate creativity, innovation and confidence through our implicit curriculum which enforces learning beyond the textbook and exams. Our different perceptive allows our students to relish their childhood. We focus on how children should learn and create innovative ways of transferring knowledge so that they can enjoy success in one form or the other making their journey an adventurous one. Being in the field of teach learn profession for almost 29 years, I could see that traditional education and conventional schooling kill creativity. I always felt that all students have tremendous capacity for innovation. However, our education doesn’t permit them to make mistakes and we end up squandering their creativity ruthlessly .Creativity and innovation enhance “Possibility Thinking” which is the mantra to sustain in this complex world. Deep within my heart I craved to reach out to children with the most required 21st century skills. At the threshold of this craving I came across Billabong High International School where student empowerment is the primary focus. Heading BHIS moves me a step closer towards my dream of creating and empowering generations with necessary life skills: Self-awareness, Innovation, Perseverance, Passion, Adaption, and Courageous Learning as stated in our Vision Statement.